In the early hours of May 20, 2009, then-Utah Attorney General Mark Shurtleff e-mailed out the speech he planned to give that day announcing his candidacy against Utah Sen. Bob Bennett, who was then a third-term incumbent. Among those on his mailing list were John Swallow and Jason Powers, who were running Shurtleff’s political campaign and fundraising efforts, and the Attorney General Office’s communications director, Paul Murphy. The 388 pages of e-mails City Weekly accessed through a records request to the AG’s Office demonstrate the complex connections of the AG’s Office’s PR operation, which ties together both Shurtleff and current Attorney General John Swallow with Murphy and campaign consultant Powers. And it’s Murphy’s taxpayer-funded role in advancing the political image of Utah’s attorneys general that concerns David Irvine of the political-ethics advocacy organization Alliance for a Better Utah. Murphy became the communications and policy director for the AG’s Office 13 years ago, after years of working as a courts reporter for ABC 4. Under Utah’s previous AG, Jan Graham, the office had been averse to publicity, but Murphy’s aggressive approach to promoting the state agency saw the emergence of a highly polished communications function that enshrined Shurtleff as a media-savvy, larger-than-life personality always ready with a quote or a tweet. Murphy also helped develop programs such as Amber Alert and Safety Net—a monthly meeting by state agencies and nonprofits on outreach to polygamous communities—that provided platforms both locally and nationally from which to promote the AG. “I think the public is protected knowing that crime is punished,” Murphy says. But Irvine, who reviewed the e-mails, says that promoting the office is different from promoting the AG himself. It’s a position that pays $159,000 gross compensation, $55,000 of which, Murphy says, is benefits. That pay puts him at 80 percent of what the governor’s spokesman earns, he adds. A search of Utah’s Right to Know database showed government public-information officers—a similar position to Murphy’s, albeit without the policy arm—earning between $70,000 and $120,000 gross. 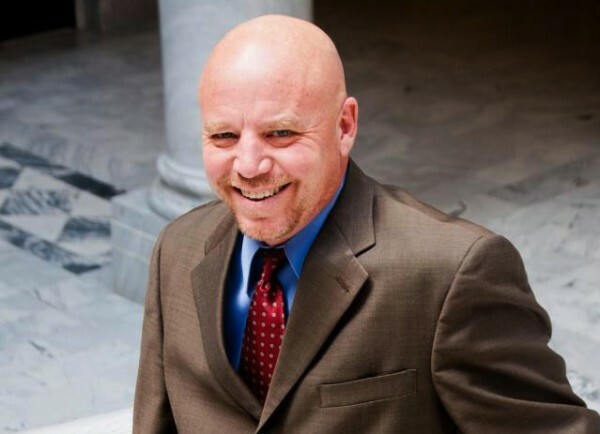 The other PIO at the AG’s Office earns $67,000 gross, according to Utah’s Right to Know. The number of voices involved in the AG’s PR machine has only multiplied with the state agency’s troubles. In what has become an increasingly divisive, complex arena of investigations, media reports and political opinions, Murphy is just one of three prongs of communication working around AG Swallow. Murphy says he addresses questions about the AG’s Office, Powers responds on campaign or political questions, and Swallow’s attorney, Rodney Snow, deals with “personal legal questions” relating to Swallow. Murphy says he started working with Powers four years after Shurtleff hired Murphy. Murphy says he made it clear from the beginning that he would answer questions about the office in an official capacity, while Powers would deal with campaign issues. “I let them know if there was a personal attack on the candidate Mark Shurtleff I wouldn’t respond, but if someone attacked the integrity of the office I would respond to it,” Murphy says. He sent out several e-mails asking employees of Powers’ Guidant Strategies campaign-consulting firm who contacted him on his state e-mail to use his personal e-mail when communicating with him about campaign issues. Murphy says he worked on Shurtleff’s campaign and, to a lesser extent, on Swallow’s, on his personal time. “I have a right to be partisan in my personal life, but not at the AG office.” There, he says, he works for the taxpayer. He adds that he was also a state delegate to understand the political process better. In one August 2008 e-mail from his state e-mail address to Powers, Murphy offers to accompany Powers on his own time to visit editorial boards to promote Shurtleff’s re-election as AG. resources [including his official time] to operate in campaign mode for Shurtleff and Swallow as they pursue political campaigns. His integral connection to the Powers political strategy organization is highly irregular, and he’s using state e-mail to accomplish his go-between function, more likely than not from his state computers, at the Capitol and on state time.” That, he notes, is prohibited by statute.